The Rajun Cajun ruellia really impressed me last summer and makes it high on my list for the landscape in 2004. I have grown this fiery red flower before but as usual, it is other gardeners' applications or companions that really cause my excitement. Rajun Cajun is known botanically as Ruellia elegans and was known for years as elegant ruellia. It was in need of a marketing name and obviously someone from our neighbor state did just that. When this little red ruellia first showed up in the marketplace, everyone assumed it was not cold-hardy here. We were certainly wrong -- Rajun Cajun handles both cold and hot weather like a champ. The big mistake was judging by its first-year performance. Gardeners everywhere are guilty of such quick judgments on a variety of plants. 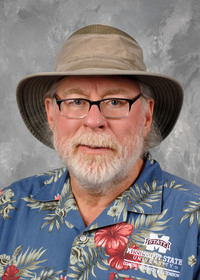 If we can keep the "three year" rule in mind, we all will be better horticulturists. In the first year the Rajun Cajun gets established nicely and for most of the summer sends up shooting star-like stalks topped with brilliant red blossoms. The problem is there aren't very many flowers in the first year. By the third year the clump has enlarged considerably, yielding dozens of flower stalks at once. If you think you've heard of ruellia before, you're probably thinking of the purple or pink Mexican petunia. This ruellia has become a staple in the Southern garden and is on the slightly aggressive side. Ruellias actually are not related to petunias at all. Petunias are in the family solanaceae, making them related to tomatoes, peppers and eggplants, while the Ruellia is in the acanthaceae family with members like the thunbergia, or black-eyed Susan vine. Ruellias as a group are plants that make everyone look like they have garnered the green thumb. Ruellias like the Rajun Cajun grow best in full sun, but I have seen some remarkable plantings in Georgia that received quite a bit of shade and still bloomed profusely. They thrive in moist, well-drained, organic-rich soils but perform well in poorer soils, too. Highly rich soils tend to offer the ideal habitat for aggressive spreading of ruellias, but the Rajun Cajun is more mannered so far. 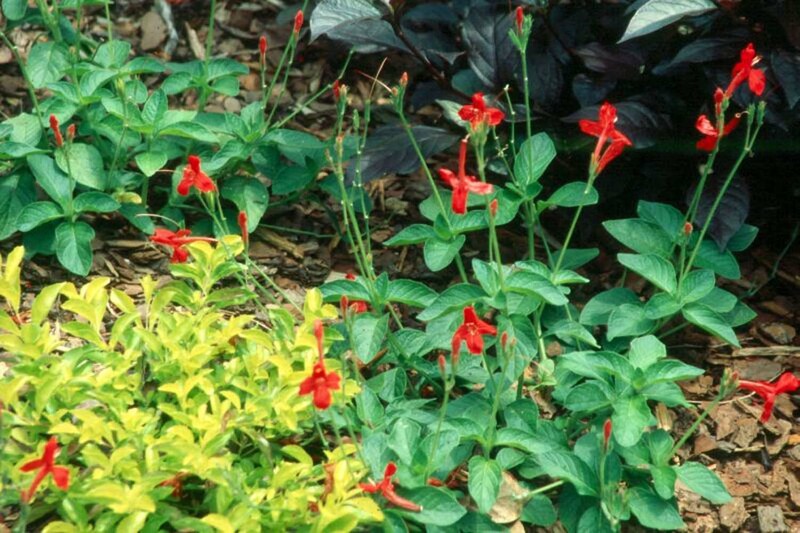 The dark-green foliage and red flowers offer some unique companion-planting opportunities. One combination that caught my imagination this past summer was with Escapade Blue plumbago. The sky blue of the plumbago and the red of the ruellia almost looked patriotic. The combination planting that I liked even better was with a gold variegated duranta. This glossy gold and green duranta, also called pigeon berry, is about as new in the market as the Rajun Cajun. All I can say is that you would have to see it to believe its beauty. Besides being an asset in the perennial border, ruellias definitely shine when planted as an accent or in mass. They are also easy to propagate -- divide clumps, take root cuttings or plant by seed. Stems are easy to root in moist soil or sand. Another big plus is that they are disease- and pest-free unless I coax a butterfly's offspring to munch on one. The Rajun Cajun will be for sale this spring. Be sure to put it on your wish list. You'll be glad you did.